Welcome to My Baby Shower! Day 1! Welcome to my BABY SHOWER! Should we begin? I thought so! I'm sure you all know about my love of JumpStart by now...they have an awesome site that my kids just love and would play all day if I let them. Their Wii games are fun and interactive all while teaching my kids good habits and lots of great early school learning presented in a fun way. ®JumpStart, an award-winning brand from Knowledge Adventure®, has set the standard in kids’ educational software for over 15 years. Today, the JumpStart experience is more engaging, interactive, and fun than ever! 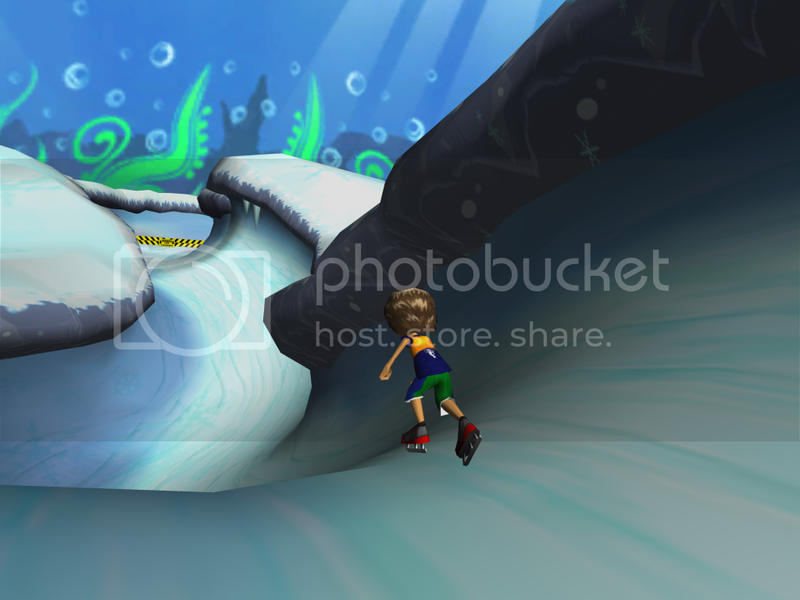 In 2009, we introduced JumpStart.com, an online adventure where 3 to 10-year-old kids master the skills needed to succeed in school and in life, through exploration, discovery, and learning. 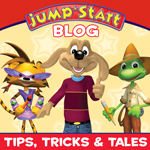 By blending interactive adventures and award-winning learning games into a safe, customizable online world, JumpStart inspires minds and JumpStarts self-confidence… the fun way. Their brand new Get Moving game is great! You all know that I think it's fun, my kids have been having a ball with it-and the games are even challenging enough to keep my husband playing! .Today's winner will be receiving Get Moving Family Fitness for their Wii! Sumo's Sweet Stuff was born when stay at home mom of two little girls, Summer, found out she was pregnant with her first little lady. Why the name Sumo? Well, Summer's husband nicknamed her that when they were dating; she's still not sure if she should be offended or not! He's got most of their friends and family calling her Sumo now, and it just stuck. Sumo has always been somewhat crafty, but after discovering the world of accessories for little girls, her crafting has been taken to a whole new level. 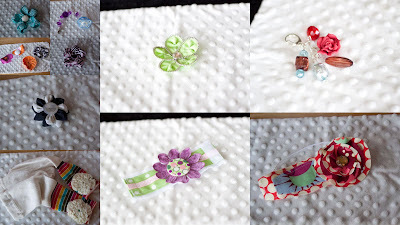 She loves to create stylish things for her two little girls to wear. Now that she's got two girls to accessorize, her home is being overrun with bows, bracelets, and binky clips! Sumo's Sweet Stuff uses only the highest quality materials to create: designer fabric, glass buttons, rhinestones, and zippers. 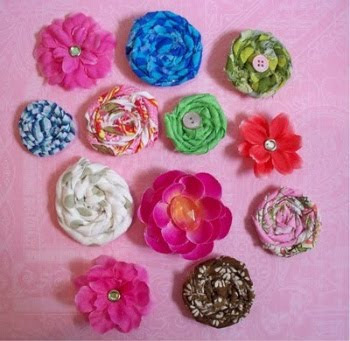 Sumo's Sweet Stuff is going to be giving away one hair clip, one headband, and one pair of custom leggings to the winner! Be sure to also check out Sumo's Sweet Stuff blog. There's always lots of fun things going on over there: tutorials, linky parties, recipes, features, giveaways, and more! When I was young my mom would make outfits for my brother and me. Of course, at the time I didn't appreciate it. I just wanted to wear what everyone else was wearing. Now, as an adult and a mom, I am amazed at the creativity and time she put into each of those outfits. So this is my little contribution to the wonderful world of handmade. I believe that handcrafted items make the best gifts, the thought and time that goes into each piece is awesome and beats retail any day! 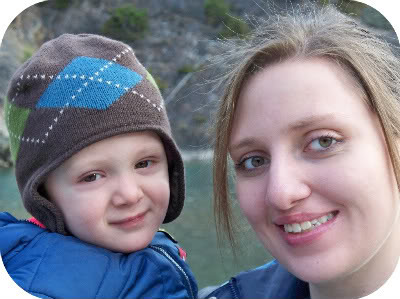 When our son was born in 2008, so was Bubby's. My son is my muse! I hope you enjoy browsing my store and I would be honored to create something for you! Today the winner will get these adorable little Bookends from Bubby's! 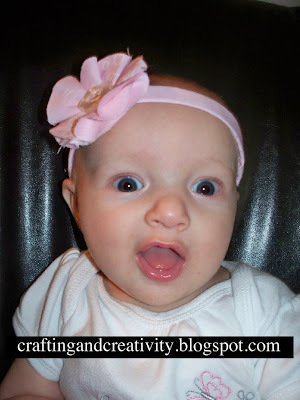 reallyCRAFTYstudio is a little Etsy shop where you can find personalized printables and more! Custom orders are encouraged! Whether you need a party invitation, birth announcement or other unique party item, please contact me! If it is within my power to create, I will be happy to help. For fun crafts, tutorials, free printables and party ideas, visit my blog, seven thirty three - - - a custom blog at 733blog.blogspot.com! You will receive a pdf file for each item and can print as many of the items as you wish, whether at your home or at a print shop. Weekly Meal Planner, Matching Recipe Book AND since this is a BABY SHOWER, these adorable PERSONALIZED READY TO POP Lollipop Favor tags pdf downloads. Hi Maryanne here from Scrappy Gifts. 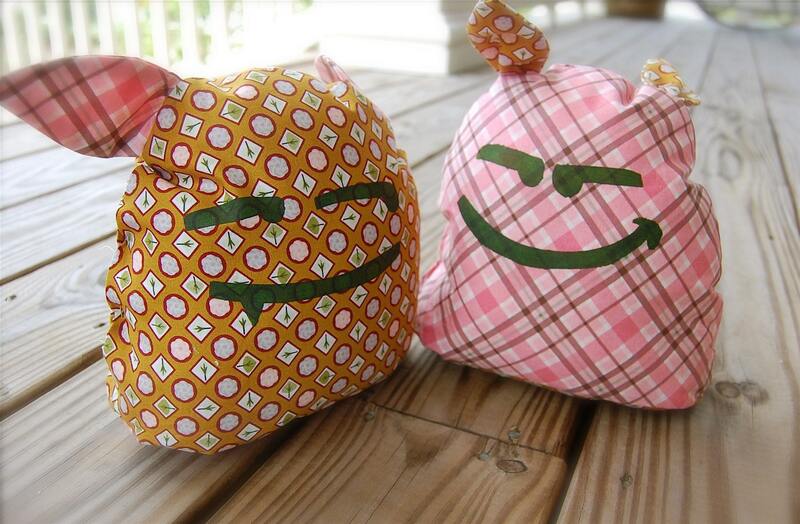 I'm so happy to be doing a giveaway here on Making the World Cuter! I love her blog, especially her blog title. 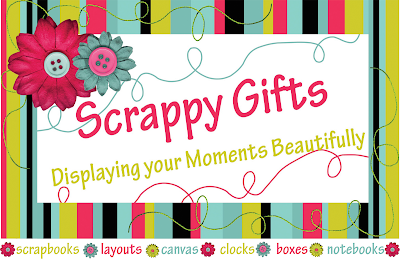 I strive to Make the World Cuter and display your moments beautifully with my Scrappy Gifts. 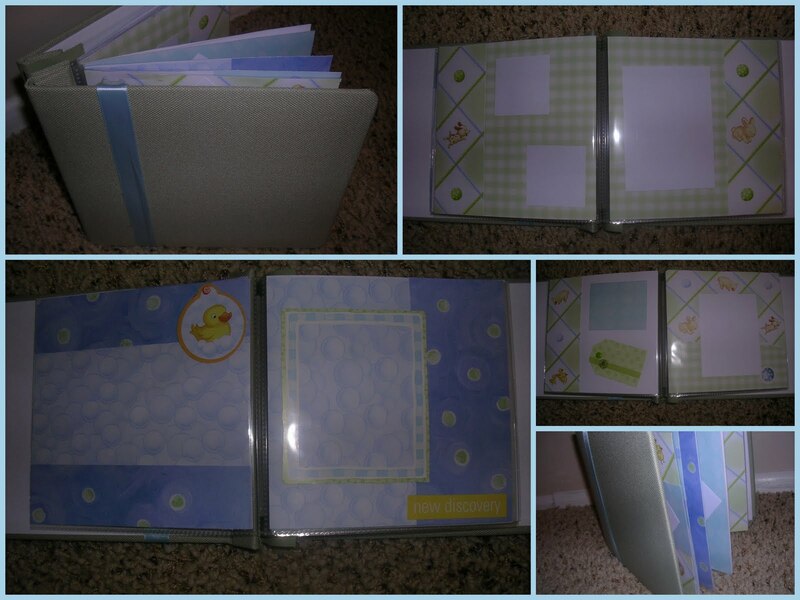 I offer customized scrapbooks, layouts, canvases, clocks, boxes and notebooks. In honor of her Baby Shower, I'm giving away this cute little 6x6 baby boy scrapbook! Completely made for you, just add your pictures cut to size. 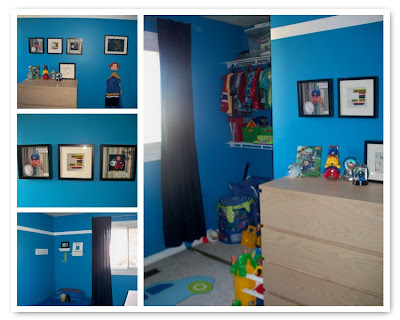 Best with wallet sized pictures or you can fit one 4x6 picture on each page. If you don't win and would love a scrapbook of your own or for a gift, check out examples and prices of baby scrapbooks I offer. I can customize the scrapbook anyway you want it! To enter all you need to do is enter your name here and you are entered to win the whole lot of prizes! One winner is going to walk away with all of this stuff! WOW! That is a lot of really fun stuff for you to keep or to give away as gifts-how excited are you? Enter NOW! Today's giveaway is open until midnight on Thursday Sept 2. The Baby Shower Begins Tomorrow! I have a couple more reviews and previews of the shops that are giving things away this week! 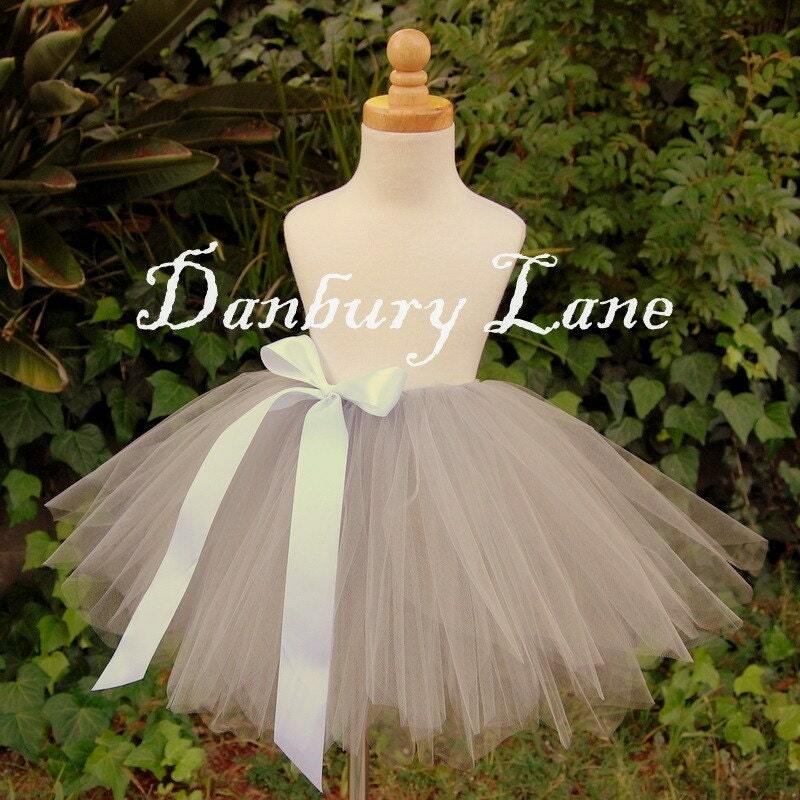 First of all, I have been a HUGE fan of Rebekah of Danbury Lane and her designs for a very long time. She gave away a tutu last time I had a big Holiday giveaway, and I was so envious of the winner! She sent me some tutu's and accessories to use as photo props for my photography business, and I haven't taken the photo's yet, but you can bet that I will post them when I get them done! I actually teared up a little when I opened the boxes, every piece is just so beautiful, and the attention to detail is exquisite. I have them on a shelf in my room right now so I can look at them whenever I need to see something pretty, and because I can't bear to put them away with my other photo props just yet! One of you is going to win one of her tutu's, and I can't wait for you to see which one, it is just so dang sweet...it'll make your teeth hurt! This one she made for a wedding I think, for the flower girl-isn't it gorgeous! I love the gray simplicity..if I was getting married, Rebekah would be making my flower girls whole ensemble for sure! She also has a cute blog where she showcases some of her work, and tells you about upcoming giveaways, so you'll want to head over there as well! Pinkapotmaus (isn't the name so cute?) is such a fun shop, full to the brim of adorable stuff! 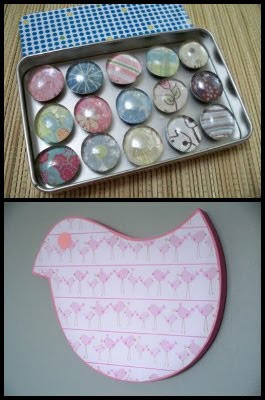 Amie makes these adorable mirrors that I want to line a play room with! I have my first one all ready to go. I got this Super Hero Mirror in the mail, and my little guys are absolutely thrilled with it! They love having their own little mirror in their room to make silly faces in, and the fact that they look like they are super hero's when they are doing it makes it about a million times more fun! The mirrors are so cute, and their are so many styles for boys and girls-but that is not all that Pinkapotamus has in her shop! She also makes custom wall hangings, step stools and just about some of the cutest stuff out there-all personalized and customizable. Love it! 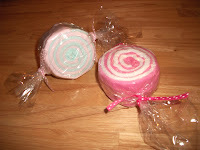 She also has an adorable blog full of recipes, crafty stuff and fun that you should check out! Check out these other Linky Parties too! Disclaimer: Anything posted may be used in an upcoming feature including pictures, (linked back to original owner of course). If you don't want me to use your pictures, please don't link up. It's that time again! Time to show off those projects you loved best this week! These were the most clicked on links from Mondays party, and they are worth the second look! Mandy at Mandy's Creative Corner made some adorable Bookshelf Drawers on the cheap, she has a tutorial you will want to check out for sure! 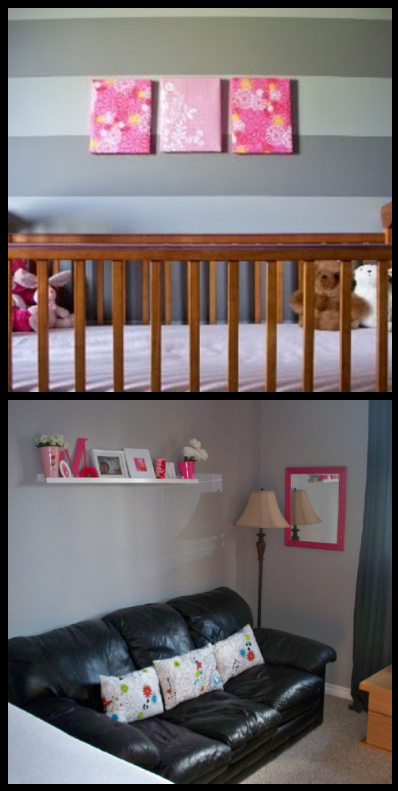 Julie at A Less than perfect life of Bliss reveals her daughters updated room into something a little more grown up-and so dang adorable! Jennifer at Abundantly Living made this fun monogram for her upcoming wedding to hang on their table, and then it will hang on their front door-cute! And Congrats! 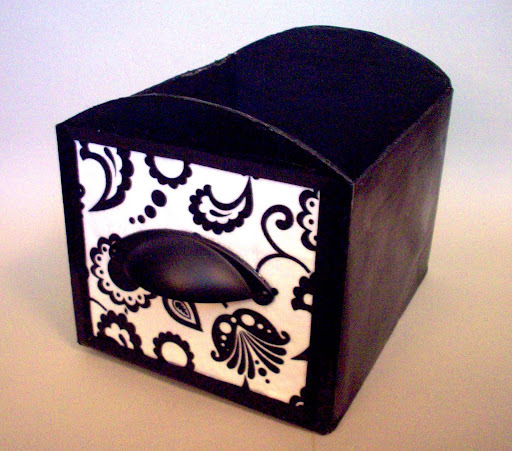 Jalinda from The Craft In Me made this adorable creation out of...wait for it...A cardboard box!!! Check it out! Kara at Kara's Korner is on an organizing kick and her and her hubby made this excellent shelf in their closet to organize all her fabulous shoes! 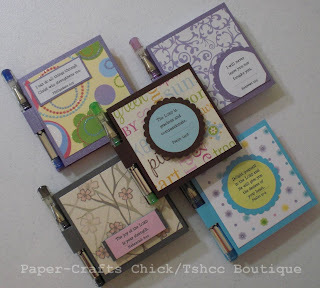 Confessions of a Paper Craft Chick made some adorable sticky note notebooks that you need to take a closer look at! Clever and Cute! Jen from Tatertots and Jello has done it again! This time it's an Anthro ispired shirt from the Dollar store! If you were one of these lovely ladies who were featured, pick up a button here! I'm excited to introduce you to the cute as a Fox Ashley-she is so fun and such a good person to boot-here she is! Hi, I'm Ashley from Cute as a Fox Creations. When Tiff asked for some people to swap with, I was so excited. I love Making the World Cuter and I am so excited for you all to get to know me a little bit. I am a stay at home Mom to two crazy kids, a 4.5 year old boy and a 2.5 year old girl. I love having a boy and a girl and getting to be an equal opportunity crafter. I want to start by telling you about my current big project. I am raising money for the Susan G Komen 3 day for the Cure. My sister will be walking 60 miles over 3 days to raise money and awareness for breast cancer research. For a donation of $15 or more, I will send you a washer necklace, or keychain to say thanks! Click on the button for all the details and different styles. 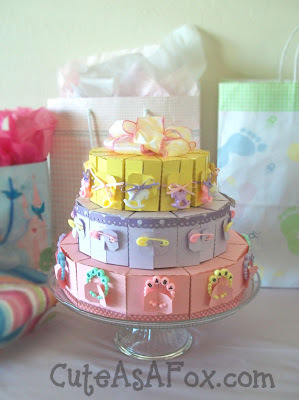 I wanted to help set the mood for Tiff's baby shower next week, so I am sharing some of my favorite baby shower ideas. 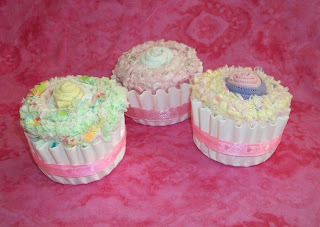 First up is this Baby Shower Favor Cake. I have all the info you need to make one of these yourself. It is a real crowd pleaser! 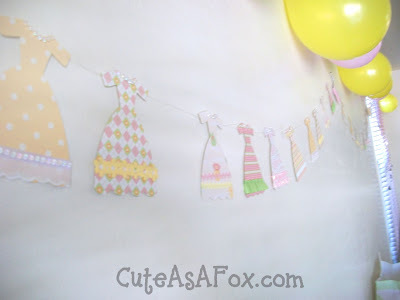 Here is this cute little french dress garland. 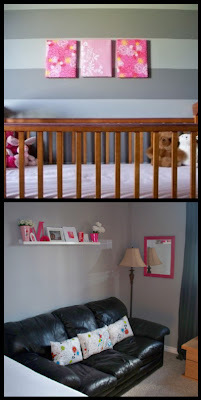 It was darling at the baby shower, but it would be great decor in a little girls room as well. 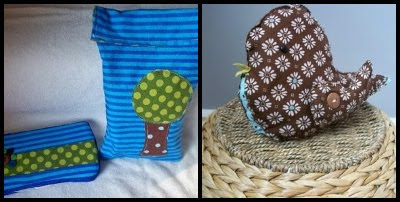 Here are three of the post popular projects on my whole blog. 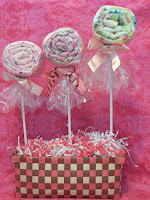 I threw a candy themed baby shower and used these blanket lollipops, washcloth candies, and burp cloth cupcakes for decorations. Yummy! Thanks so much for having me, Tiff. Congrats on baby number 4! This is a yummy drink that my friend Suzanne makes. Chad and I make these for game nights at home...yumm-o! Over a double broiler melt about 6 oz. of the chocolate. Add sugar and hot chocolate and stir unitl smooth. Add 1/2 c. milk and stir. Put that mixture in the blender with the rest of the milk and blend with 3 cups of ice. Shave the rest of the chocolate bar, to put on top of the whip cream you will want to put on top of your delicious drink. This makes about 3-4 normal size drinks. Chad and I bought these huge mugs for these and rootbeer floats-this recipe fills both of those. I didn't get to making what I wanted to this week yet, so I'll show you something we made last year for our little home-school/pre-school group. All of the kids got pieces of just some MDF cut to about 11x16-or somewhere in that vicinity. Then we all just did what we wanted with them, to decorate, so that all the kids had little lap desks to bring with them to which ever house was hosting that week. It worked out great, and my kids still use theirs all the time. They are great for coloring when they are sitting on the floor, or doing little worksheets while laying on their stomachs. I of course pulled out the old chalkboard paint to make my kids' even that much more useful, and my kids love to use them to play school with. I painted on their names with good old craft paint and mod-podged some stickers on (the red sticker up the side is a ruler). Some of the other moms let their kids put their hand prints on them, scrapbook paper on them, painted the whole thing, let their kids decorate them...they were all different, but the kids all loved them! Your Favorite Show Off's from Last Week! 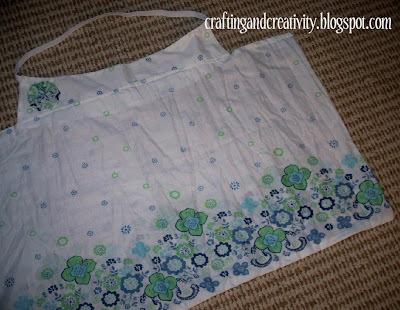 Kimberly at Attempting Creative made this adorable bag that I just love-nothing better than a big old bag, especially when it's cute...and reversible! Hey our friend Alison from Oopsey Daisy made the list this week! 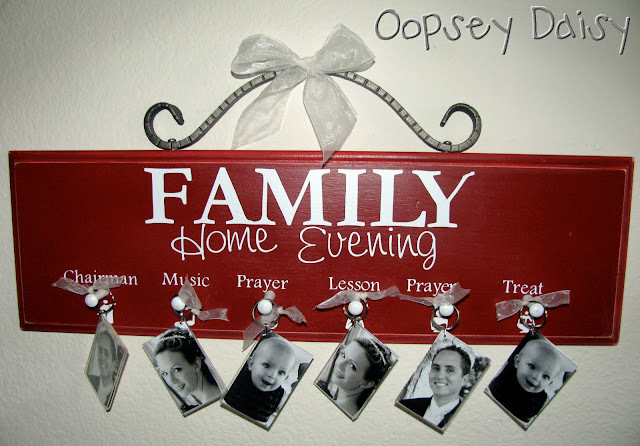 A whole lot of you clicked on her link to see her Family Home Evening board up close, and I can't blame you-so cute! Love the picture idea! 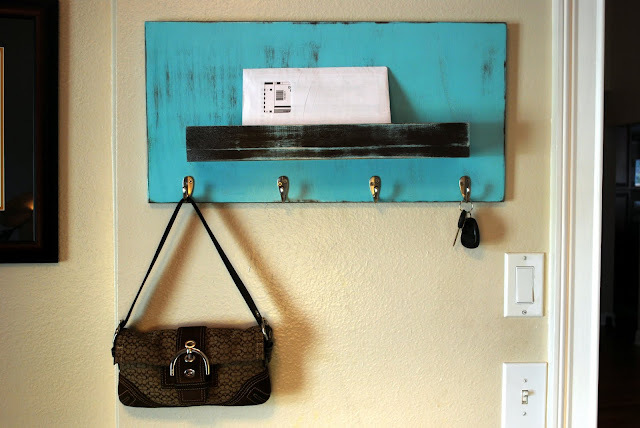 Get your Crap Together has a perfect idea to organize all those things that seem to pile up wherever things pile up at your house-go check out her easy system... If you were featured here today-grab a button! Don't forget to come back tomorrow and link up all your cuteness! I'm so excited to be swapping with Tiffany today! I have been a follower of her blog for ages & have been inspired by the great projects she's shared!! I'm Sarah. I have been married to my husband and best friend for almost 5 years. We are lucky to have 2 awesome kids. Our son is 2 and a half and our daughter is 4 months old. I have been blogging for nearly 3 years now. Last month I decided started a new blog to showcase all the crafts and creative things I have made: Crafting and Creativity! 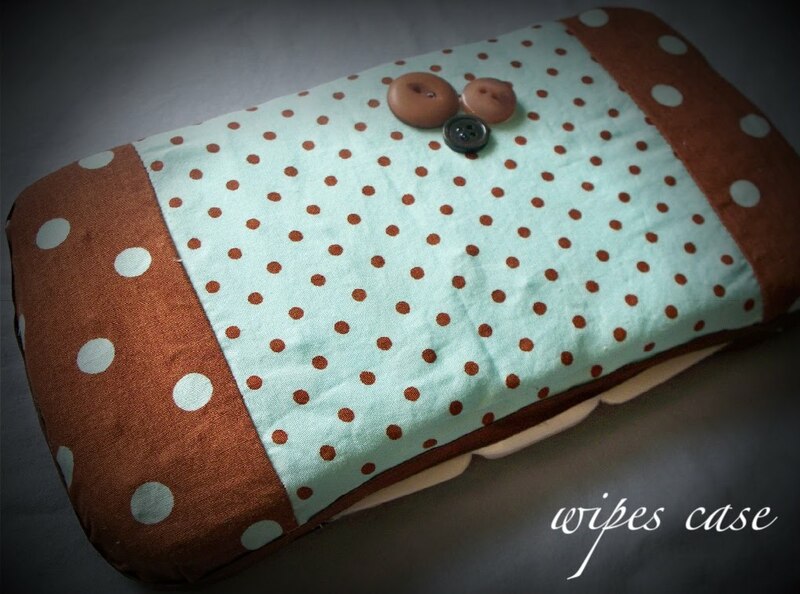 The latest tutorial I posted was how to make a fabric-covered wipes case. 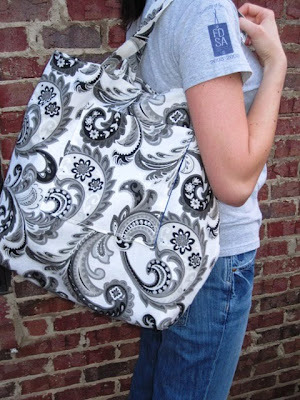 They are the perfect addition to your diaper bag or great to give away as a gift! 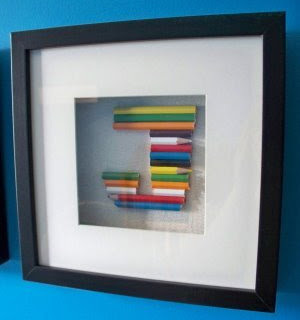 I also love creating fun projects for my son's room like this monogram using PENCIL CRAYONS! How fun is that?! So come and follow along as I share the projects that give me the creative outlet I need when I am not busy with my little family. There's lots more to come!! Thanks again for having me, that was fun! !